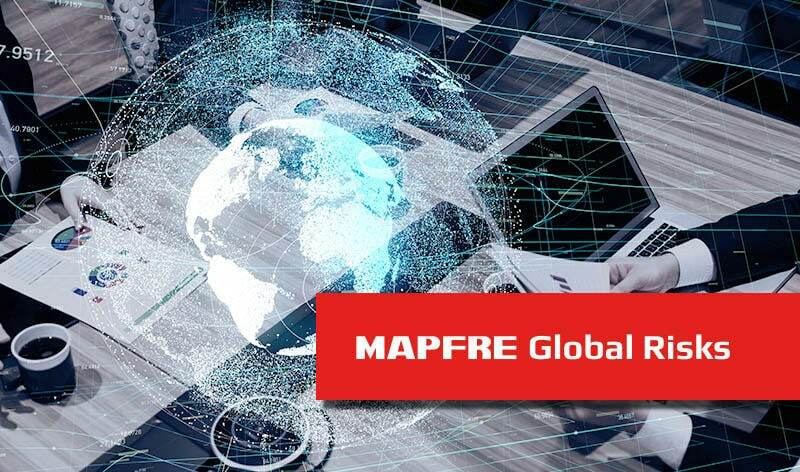 MAPFRE has approved a new configuration for its global risks business, which will enable it to increase its management and business capacity for this type of risk, while also bringing greater financial stability and efficiency to the group, with the ultimate goal of moving forward in its efforts to offer a better service to its clients. As part of this process, MAPFRE GLOBAL RISKS will continue to be MAPFRE’s business unit specializing in providing comprehensive and innovative insurance solutions to large companies, multinational companies and businesses in global activity sectors. On behalf of the group, it will underwrite the large risks business, and will focus its activities on operations where MAPFRE assumes the business lead and offers a maximum quality service. Under its new configuration, MAPFRE GLOBAL RISKS will operate in coordination with the group’s insurers to manage the large risks business, with responsibility for technical aspects, handling claims and provision of services. The issuing process will be performed by the MAPFRE companies in the various countries, and reinsured by MAPFRE RE. Also, MAPFRE GLOBAL RISKS will transfer its reinsurance business to MAPFRE RE, and its insurance business to MAPFRE Spain. Likewise, MAPFRE RE will assume the operations subscribed by MAPFRE GLOBAL RISKS in different countries of the European Union. In this way, branches in the United Kingdom, France and Italy will be integrated into the structure of MAPFRE RE, while the German branch will cease operations on October 1st. This will allow for greater optimization of the group’s capital and resources, and increased efficiency through economies of scale. “All this will give MAPFRE greater capacity available for the large risks insurance business, and will contribute to offering a better service to MAPFRE’s global clients,” explained chairman and CEO, Antonio Huertas. For its part, MAPFRE RE is strengthening its role as the sole reinsurer for the risk types managed by MAPFRE GLOBAL RISKS, leveraging its larger scale and increased portfolio diversification, which will lead to an increase in the size of its business. This also boosts its service capacity for its clients and broadens its range of solutions to lines and businesses in which it did not operate up until now. As it has always done in the past, MAPFRE RE will continue to ensure the strict separation of the reinsurance work it carries out for the various MAPFRE insurance companies and the business coming from other ceding companies. With this new configuration, it consolidates its position as one of the top 15 reinsurers in the world, with more than 5.5 billion euros in annual premiums. This transformation is expected to be fully operational by January 2019.